For 30 years, Calimesa Insurance Services has delivered quality insurance solutions to individuals in CA, specializing in Auto and Homeowners insurance coverage. Our team of knowledgeable insurance professionals is committed to helping you find a policy that fits your needs. We focus on providing personalized attention and exceptional customer service to create an experience that’s difficult to find in today’s market. 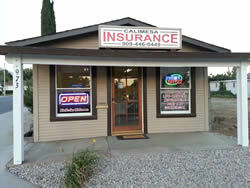 At Calimesa Insurance Services, we’ll work with you to ensure that you and those you care about most are protected. 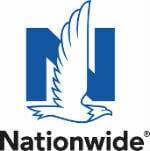 Paul G. - They have the Best rates and great service. Angela G. - I give Calimesa Insurance Services 5 stars! Julie L. - Amy is super nice and helpful. This was the best experience I have had with setting up car insurance. She will get you the best quote. Christine C. - Amy was extremely professional and genuine. She did a great job for my family and she was referred to us by my parents. She will find you the best rates on insurance and will do the best for your needs. Jody T. - I have worked with Amy as my insurance consultant for 5 years. She has done a wonderful job in saving me money on my car and home insurance. She is now working with me on my business insurance and she has been able to get me lower prices than an other agent.